How to watch Misty: 시즌 1 (2018) on Netflix Singapore! Yes, Misty: 시즌 1 is now available on Singaporean Netflix. It arrived for online streaming on March 9, 2019. 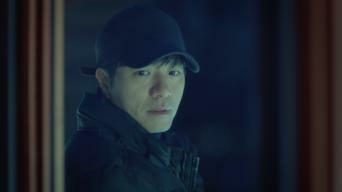 We'll keep checking Netflix Singapore for Misty: 시즌 1, and this page will be updated with any changes. A news anchor at the apex of her hard-earned career contends with a younger rival after her job and a murder case that tests the limits of her marriage. No one knows news like she does -- but it’s a different story when the headlines start intersecting with her life. 시즌 1 of Misty has 16 episodes. Because different Netflix countries have different availability for episodes, you'll need to check the episode listing below to see which are available in Singapore. Go Hye-ran quashes ploys devised to force her to step down by promising the news director a big scoop: an exclusive with golfer Kevin Lee. Go Hye-ran copes with a personal loss and the shock of learning Kevin Lee’s identity. Despite proving herself, Jang Gyu-seok’s decision remains firm. Go Hye-ran gets an enticing proposition when she meets with an official from the Blue House and later confronts Jang Gyu-seok about her future at JBC. 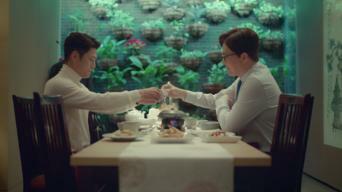 Kang Tae-uk is taken aback by Kevin Lee’s cavalier views on marriage. 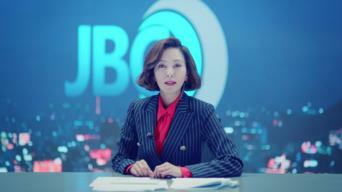 Go Hye-ran decides to feature a news story that surprises those close to her. Standing in the eye of a brewing storm, Go Hye-ran aims to fight back with her most potent weapon -- behind the anchor desk that she commands. The autopsy results are not as conclusive as some would like, Ha Myeong-u meets with Kang Tae-uk, and Go Hye-ran receives ominous messages. Go Hye-ran takes notice of Seo Eun-ju’s sudden dependence on Kang Tae-uk and unexpectedly gets much-needed help from an old friend. Kang Tae-uk furtively tries to sort out another setback. Jang Gyu-seok tries to dissuade her but Go Hye-ran wants to make a play for the Blue House. Despite the shocking turn of events, Jang Gyu-seok gives the order to go on air with the breaking news. Go Hye-ran can’t get a hold of Kang Tae-uk. Pushed to the point of no return, Go Hye-ran resolves to risk everything by going after her biggest story yet -- by striking at the very top. Go Hye-ran has a candid conversation with Jang Gyu-seok about the news director’s position. Ha Myeong-u wants to know where Kang Tae-uk stands. 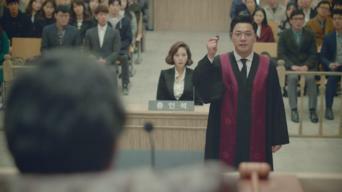 Go Hye-ran deals with threats to her life and Kang Tae-uk prepares her defense, as a witness suddenly appears out of nowhere jeopardizing her case. The trial begins. 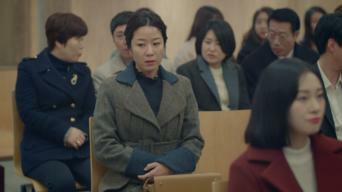 Go Hye-ran has faith in Kang Tae-uk’s support, while her colleagues raise suspicions about the mysterious witness. Go Hye-ran and the JBC team go on the attack to take down a major power broker, Jang Gyu-seok defends his own, and Ha Myeong-u confronts Kang Tae-uk. Facing mounting questions about someone close to her, Go Hye-ran dismisses Jang Gyu-seok’s idea, while Ha Myeong-u safeguards her in his own way. Go Hye-ran finds herself at the nadir, but Ha Myeong-u is there for her and gives her something extraordinary -- just when she needs it the most.